Simon is passionate about fundraising and causes that make a real difference to the world. Simon runs a portfolio of interim and consultancy activities as well as writing. Interim work so far has included Fundraising Director roles at Kidney Research UK and at Sue Ryder Hospice and consultancy work with CXK, Debra, It’s a Penalty, MHA and Rennie Grove Hospice. Before that, Simon worked for The Children’s Society as Director of Fundraising and Marketing. Before that he was a Senior Consultant with THINK Consulting Solutions for eight years. He joined THINK from NCH where he was Director of Marketing and Fundraising. During his time there he increased net income by 25 per cent. Before that, he was Director of Fundraising and Communications at Acorns Children’s Hospice where he had overall responsibility for fundraising and marketing, doubling income in three years, and through careful brand development work he increased prompted awareness to over 90 per cent. 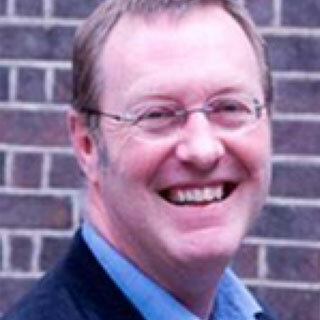 He has been involved in voluntary sector management, strategy and marketing for over 30 years. Simon is qualified in both Business Studies and Development Economics and has worked not only in the UK but also in Papua New Guinea, Peru, Guatemala, Mali, Kenya, Zimbabwe, Malawi, Sri Lanka, India, Nepal and Thailand. He is fluent in English, French, Neo-Melanesian and Spanish. He is a lay preacher and an active Christian. He specialises in strategic planning, organisational reviews, direct marketing, major gift fundraising, international market studies, integrated marketing, PR and brand management. He was Chair of the Institute of Fundraising from 2002 to 2005 and has written and talked extensively on marketing, PR and fundraising issues.